Belgian police have killed two suspects and arrested a third in a raid on a terror cell in Verviers. They were allegedly planning a serious and “imminent” attack. 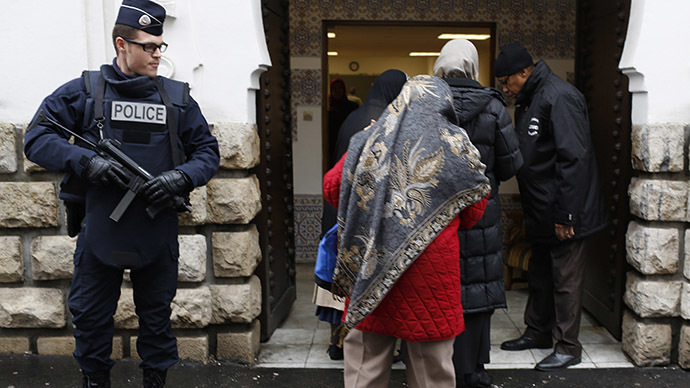 The anti-terror operation is ongoing as Europe is on high alert following attacks in France. The suspects, all Belgian nationals who are believed to have recently returned from Syria, opened fire at police officers with automatic weapons in an attempted escape. “They were planning to commit serious terrorist attacks, and to do so imminently,” Eric Van Der Sypt, a spokesman for the country’s federal prosecutor, said at a briefing in Brussels. "The suspects immediately and for several minutes opened fire with military weaponry and handguns on the special units of the federal police before they were neutralised." “They didn’t even know who was at the door,” he added. No police or civilians were injured in the shootout. 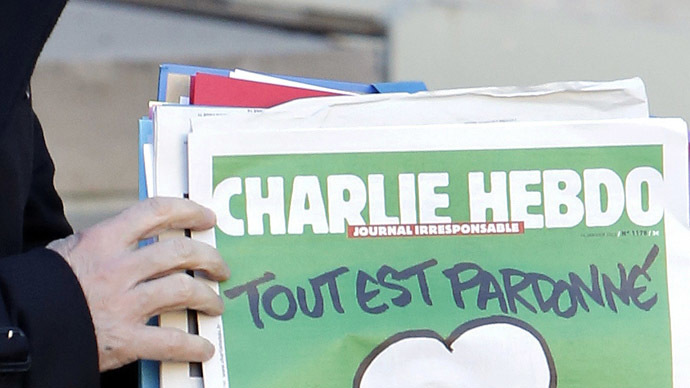 "We've averted a Belgian Charlie Hebdo," an unidentified police officer told La Meuse. The anti-terrorist operation continues in Belgium as officials raised the threat level to three out of four. Overall, police have searched about a dozen locations across the nation. Van Der Sypt said that so far the investigations have found no links with the Paris assaults, but said the investigation leading to the raid began before the Paris attacks. Law enforcement allegedly learned of a planned attack through intercepted phone conversations. 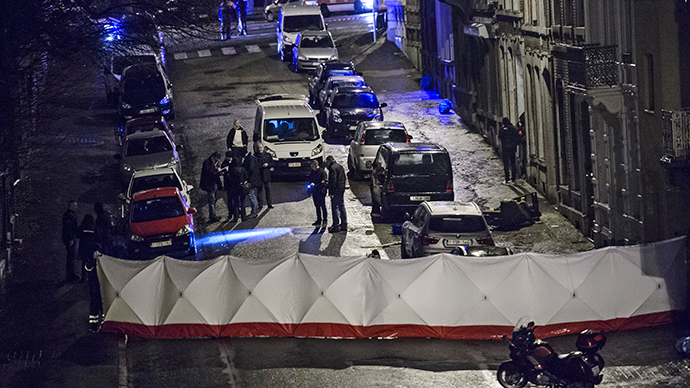 Earlier in the day, authorities said they arrested a suspect in southern Belgium who is believed to have supplied weapons to Amédy Coulibaly, the man who took hostages at a Paris Jewish grocery store following the Charlie Hebdo attack. 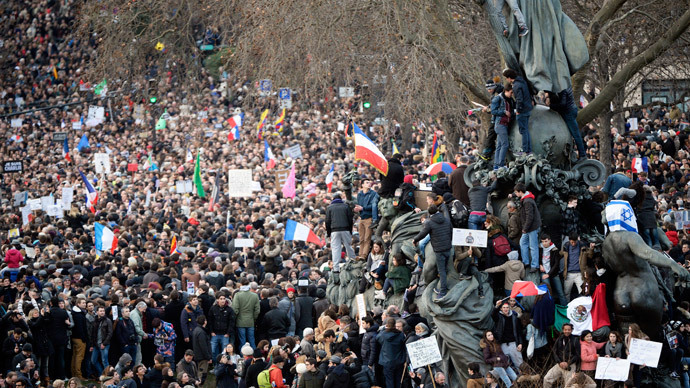 Many European countries are on high alert, boosting security measures in the wake of last week’s deadly terror attacks in Paris. The Italian capital of Rome has become the latest to increase security at local media outlets following the attack on Charlie Hebdo that left 12 people dead. Rome’s prosecutor announced that security measures have been increased at and around other “sensitive places” – including the Vatican, embassies, and tourist attractions, the Local reports. Up to 20 people in Italy are being investigated for their alleged links to extremist cells in Iraq and Syria, according to Italian media reports. In Germany, federal prosecutors have confirmed the arrest of a suspected jihadist militant. According to reports, the suspect could be part of a wider cell of Islamic State sympathizers allegedly planning attacks in Germany. Denmark and Norway are also on alert after a threat was reportedly posted against two Scandinavian countries on a French website. Following the recent developments, Austria and Spain also are on “high alert,” relying on a general threat level. Transportation hubs – such as airports, seaports, and train stations – as well as energy networks and nuclear power plants have tightened up security. UK security services are also taking precautionary measures and have increased security after counter-terrorism officials reportedly uncovered a plot to abduct a serving police officer or soldier on UK soil and broadcast their brutal murder on the web.